In the healthcare industry, time is the essence. A Fraction of seconds can cause the difference between life and death of someone who is suffering from stroke or severely ill. In such scenarios, doctors need to spend more time with their patients for better treatment and care. But what about treating and caring your patient’s data? Even that is important! When it comes to shielding data in the healthcare industry including patient’s information, medical records, accounting details etc., it becomes tough for the administration. With the implementation of new medical tools in the healthcare organization such as electronic health records (EHRs), online patient platforms, using software’s to manage books and invoices-provides improved patient care and efficiency in the work process. But somewhere these tools have invoked more prospects for cyber-attacks. In a recent research, the healthcare industry is more targeted by cyber-attack at a whopping ratio of 63 percent in 2016. According to the insights published in diverse sources, only in 2015, 100 million people in the United States became the sufferers of the electronic medical records hacks. The largest information scams were the attacks against the Anthem Company (78.8 million people) and Premera Blue Cross Company (about 11 million customers). 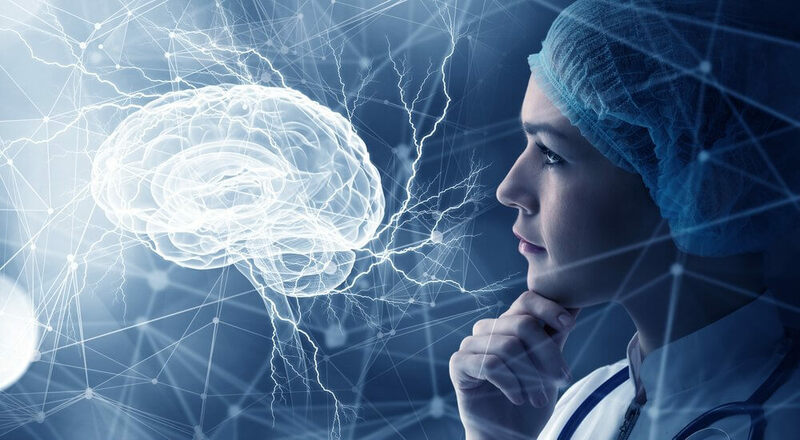 Artificial intelligence (AI) not only relieve doctors and healthcare administrators from repetitive tasks but also secure their data from breaches. This machine learning tool has the capability to think like a human and act accordingly. But like we humans, it never sleeps! A report cited by McKinsey Global, that in the next 50 years, AI will shoot an annual growth in productivity between 0.8 and 1.4%. Presently, the healthcare industry is growing exponentially by transiting their accounting operations with AI and machine learning, which is also helping them to protect their accounting data from cyber-attacks. So we can assume that healthcare business can work smartly and efficiently by integrating their accounting operations with these sophisticated technologies. A few years ago, “cloud” platforms became the new buzzword among accountants. And many people have forecasted that cloud computing will impact more than $1 trillion in information technology spending by 2020. Today most of the ERP software used by businesses on a daily basis run on the “cloud”. Cloud was one of the disruptive forces of IT spending, according to Gartner. Although, the impact of AI will unquestionably have a much more lasting and stronger impact in the accounting for healthcare organizations. Many businesses are utilizing bots and AI in their accounting routines to streamline repetitive tasks and save valuable time of professionals. Machines are going to play a crucial role in the accounting decision-making process. As we are aware that AI is very likely to human beings they can think, learn and reason that too faster than humans, they can easily manage accounting operations and streamline the entire process. A report by Accenture states that machines will likely amalgamate lower management roles in accounting departments, thereby freeing up the time of higher management and enabling them to focus on “keen-judgement” tasks. For example, accounting firms and other businesses can concentrate more on essential hiring for crucial roles instead of hiring accounting professionals for every accounting operation. To conclude these facts, Accenture suggests that AI will encourage companies to embrace “forward-thinking analytics” so they could analyze past data to make better future decisions. Many accounting professionals are worried that AI might steal their jobs in the future. As per the forecast of Bureau of Labor Statistics, or BLS, there is around 11% growth for the accounting industry through 2024, which is considered as one of the faster growth than the average growth rate across all the industries. Smart processes might allow accounting managers to focus on implementing strategies instead of doing repetitive tasks. Grimes talks about accounting processes in the healthcare industry, observing that AI has permeated hospitals and doctor’s clinic without replacing medical staff, such as nurses and doctors. You cannot protect what you cannot see and the key aspect in cybersecurity is visibility. If you know what is happening in your network, at the initial level, you can easily identify any irregular behavior and immediately take action to detach it from permeating across your network. But now with AI, you can address two critical issues: greater visibility and improved teamwork. Seizing and connecting all relevant danger from your entire network of instruments helps to remove opaque from network operations. The next move is to align this intelligence with metrics witnessed across the individual networks to provide a standard for comparison. In order to improve the visibility, healthcare organizations can dive into partnerships with vendors and other business members. Moreover, they can incorporate local and global metrics to form an industry-specific knowledge base as a beginning for AI analytics. For example, in healthcare accounting you might be using different tools to process your accounts, but integrating your tools with AI you can detach yourself from any irregular behavior in networks. As the adage goes “Attackers only need to be right once. You need to be right every single time”.